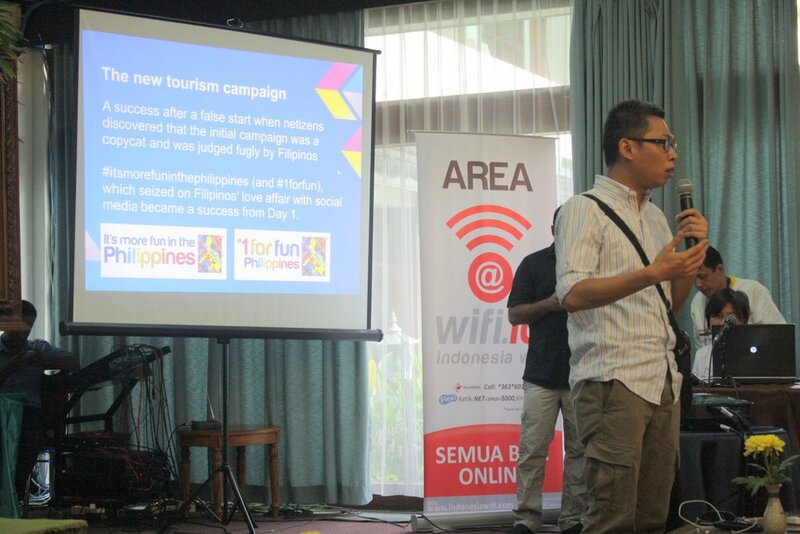 It was such a great opportunity for me to be able to join the ASEAN Blogger Festival (ABFI) 2013 in Solo, Indonesia. I was fortunate to attend such event in Kuala Lumpur and Bali, few years back, so I can be able to say that now I’m part of the ASEAN (Association of Southeast Asian Nations) Community, with friends all over ASEAN countries. To me, ASEAN community is not started in 2015, it’s already happen now. This year, #ABFI2013 has a new theme “Re-inventing the Spirit of Cultural Heritage in Southeast Asia“. In this 4 days event, attended by more than 300 participants all over Indonesia and other ASEAN countries, we discuss about all things that will enhance the awareness of ASEAN community 2015, a security, economic, and socio-cultural community, the topics of the seminars and breakout sessions varied from travel & tourism, social media to blogging itself. I was moderating a session about ASEAN Tourism Potentials with Ibu Nina Soemitro from the Ministry of Travel and Creative Economy Indonesia and also Pak Widdi Srihanto, the chief of Travel Department of Solo. The combined population of the 10 member states of ASEAN is around 600 million. The number of international visitor arrivals to ASEAN has increased rapidly to over 81 million in 2011. The travel and tourism sector has become an important driver of growth and prosperity for many countries and it has a vital role in realizing ASEAN vision. The panel has been a great inspiration for me, because at first, I never thought about travel and tourism in ASEAN way, a bigger perspective. Now I can see how much potentials we can bring to each other. Fellow ASEAN countries can complement each other, highlighting our best and unique attractions then package it as one major destination for international traveler. ASEAN committee members have seen this big tourism potentials and they’ve prepared a strategy, launch a new logo along with a new website informing about 10 destinations in ASEAN countries. Well, I saw the website, they had this calendar of events across ASEAN countries, I’m curious on how Indonesian’s going to fill that section. Since, we don’t have an exact events list of the year of our own :P Solo, in the other hand, has been inspirational. With low budget plans, they make a full year of interesting events list, put it in a catalog, and they’re now ready for tourists. They also have an excellent airport! (compared to you-know-which-one). Like Pak Hermawan Kartajaya @hermawank and Pak Hazairin Pohan @hazpohan said, Blogger is a marketer and by using English, you can reach to wider audience. You can start by blogging in English for any of your traveling posts. Try to commit to blog at least once a month about Indonesia or South East Asia (SEA). Remember, your own home town has a lot of stories too! @Kounila and @PreetamRai were excessively promoting Da Lat when we met at ABFI in Solo. Now I’m planning my trip to Vietnam, thanks to them! Nila share about Da Lat in her blog. I also speak in a breakout session about the potential of Indonesian Startups and I saw the energy in the room. Everybody wants to create something. With 60% of 240 million people in Indonesia are young people under 35 years old, I’m very optimistic about the future of our country. So, are you ready to start a history and make us all shine? There’s way too much going on in Indonesia, I would love to visit it someday! And congrats on joining ASEAN community! It was such a great opportunity for me to see you and enjoying your session! Mbak Ollie..